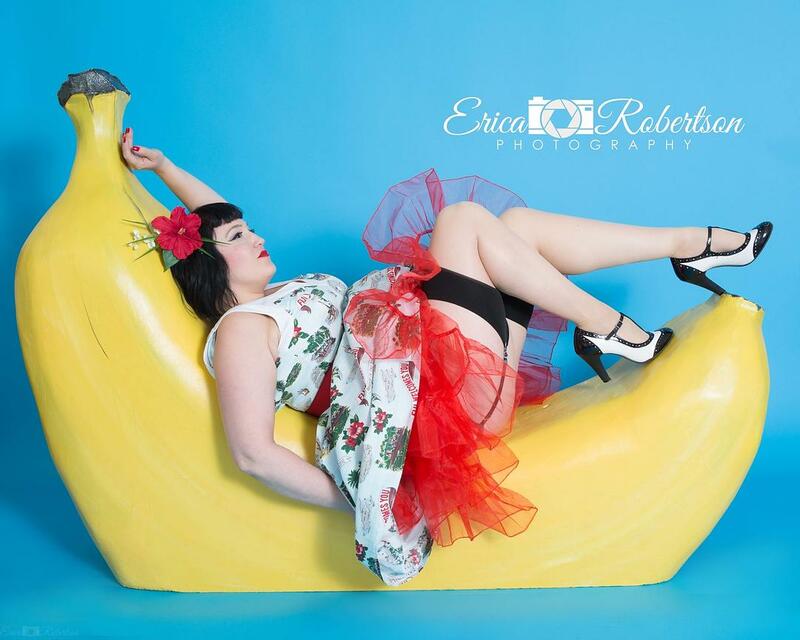 Last chance to shoot with our crazy and fun pinup props! Both the 6' Banana and 6'Moon will be retiring come April. If you have been wanting to try your hand at pinup or been dying to shoot with our fun props, this event is for you! So many options to choose from including just shooting with your favorite prop or all of them for a special price! Each day has a selected amount of sessions, so book yours for just a $75 deposit before they are sold out! Multiple dates to choose from! Only $75 deposit to book your session time and date! Balance due the day of your shoot. Whatever your theme, this photoshoot is for you! Not only do you get to shoot one-on-one with Hampton Road's biggest Pinup & Retro Photographer but maybe you will even get published! Erica's work has been published in over 40 magazines last year as well as billboards and even book covers! Erica will walk you through the shoot, step by step. As a previous professional model she isn't just amazing behind the camera but also an expert in posing for that perfect winning shot! Photograph with the moon prop! "PinUp Model For A Day"
$350 includes Hair & Makeup! Photograph with both the moon prop, banana prop and studio props for the largest variety of shots! Want to add a professional hair & makeup artist? Price is $100 and is paid directly to artist the day of your shoot. If you would like to add this, please let us know at time of booking so we can schedule with artist and adjust shoot times appropriately. You must arrive one hour before your selected session time to make time for hair & makeup. The Ultimate Pinup Photoshoot "Pinup Model For A Day" is priced with a professional hair & makeup artist to transform you! We have learned than everyone wants different products once a shoot is over, some want a giant canvas or metal hung on their wall while others just want digitals so they can post them online. We give print credits so you get to control the options! To understand our proofing process and print costs visit our website! We gladly can schedule a consultation after the shoot to review all your options!